This handsome summer visitor to Britain is not a common sight, as it rarely leaves the cover of shrubs and hedgerows. 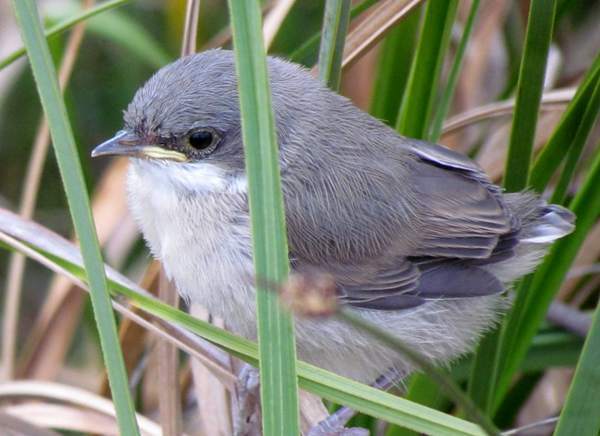 It is a warbler, and as the common name suggests it is noticeably smaller than its close relative the Whitethroat. Dark cheek feathers contrast with the pale throat and the white outer feathers of its tail that are clearly visible only when the bird is in flight. Lesser Whitethroats can be seen in lowland parts of England, Wales and southern Scotland, where the first visitors arrive in April. They breed here but begin leaving from the end of July, most of them having departed by mid-October, so they are in Britain for less than half of the year. The nest, which is built low down in shrub by the male and the female bird, consists of a cup of fine twigs and coarse grass and lined with fine grass, roots and hair. 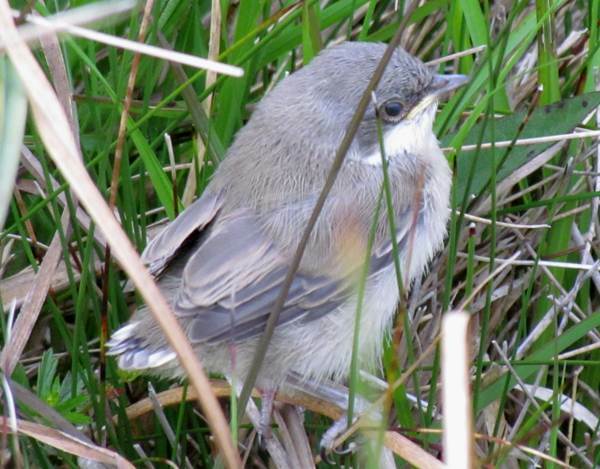 Lesses Whitethroat eggs are smooth and glossy white or pale creamy with a few blotches of grey or olive. Male and female birds take turns to incubate the eggs, and both gather food for their young.